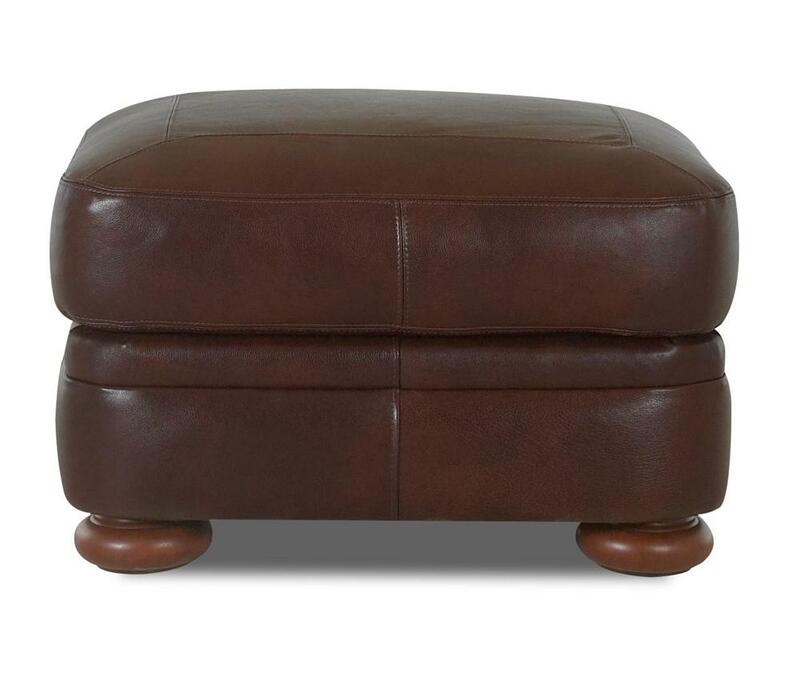 The perfect addition to your living room or den, kick up your feet and relax with this Casual style leather ottoman. A soft, down blend cushion gently cradles your aching legs and feet while you watch television or read a book. Featuring unique, wood bun feet that give the piece a classic look that you'll love. 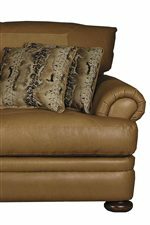 Available in several different leather colors, find the look that's right for your home today! 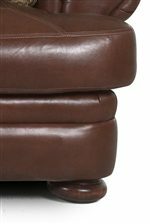 The Montezuma Leather Ottoman with Bun Feet by Klaussner at Suburban Furniture in the Succasunna, Randolph, Morristown, Northern New Jersey area. Product availability may vary. Contact us for the most current availability on this product. The Montezuma collection is a great option if you are looking for Casual furniture in the Succasunna, Randolph, Morristown, Northern New Jersey area. 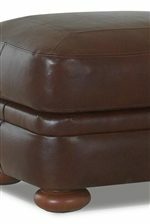 Browse other items in the Montezuma collection from Suburban Furniture in the Succasunna, Randolph, Morristown, Northern New Jersey area.